Looks neat and clean. Wife likes it too - now cannot beat that. 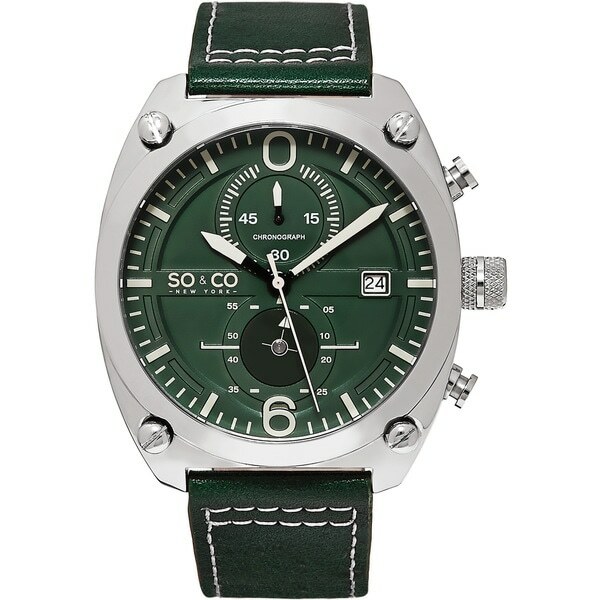 Keep time accurately with this Monticello quartz watch from SO&CO. The green leather strap and silvertone case make this aviator-style watch a fashionable everyday accessory.